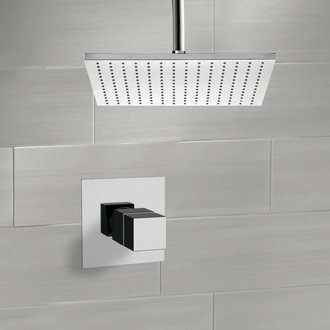 Shop our selection of ceiling mounted shower faucets and get FREE shipping on all orders over $99! 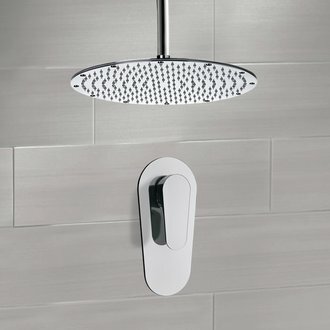 A ceiling mounted shower faucet will give you a spa-like atmosphere right in the comfort of your home. 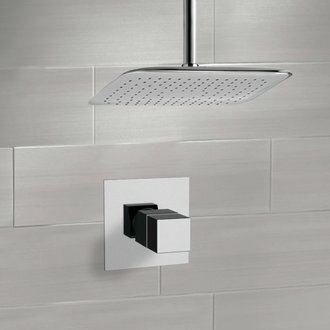 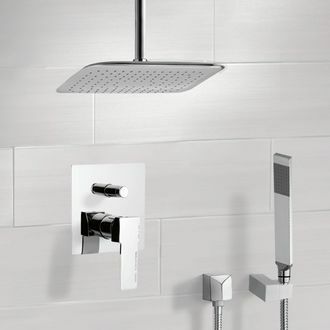 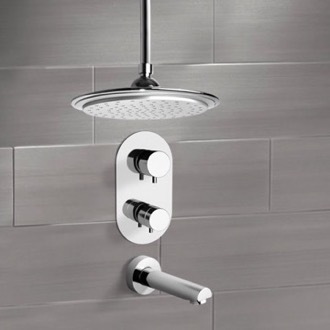 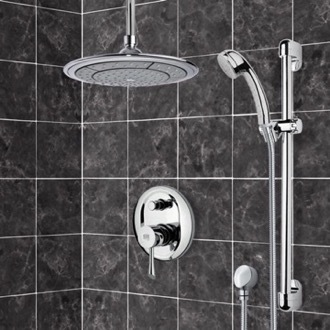 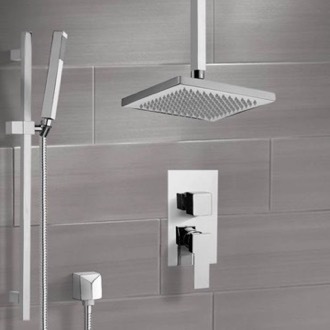 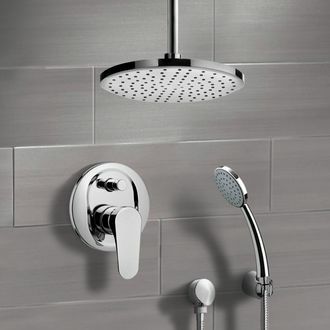 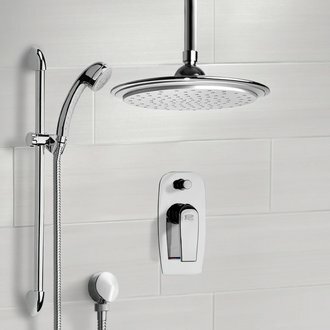 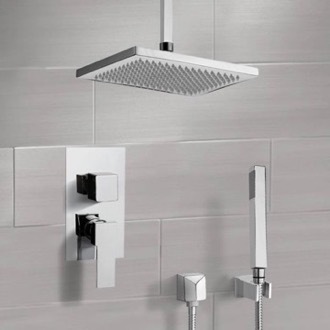 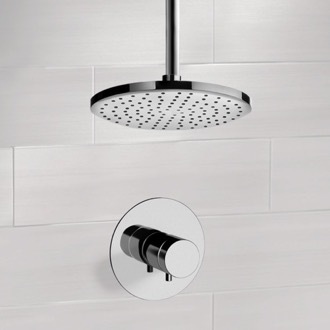 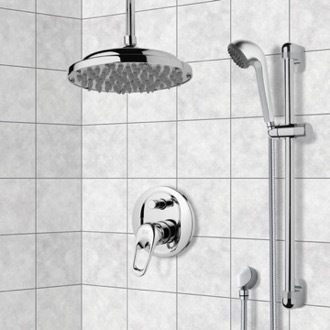 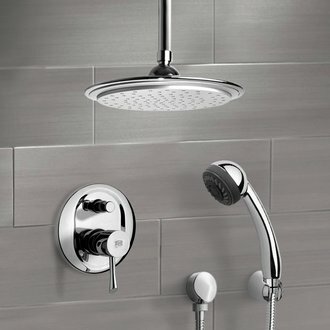 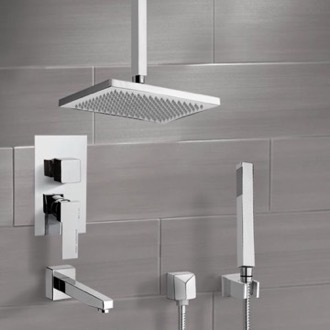 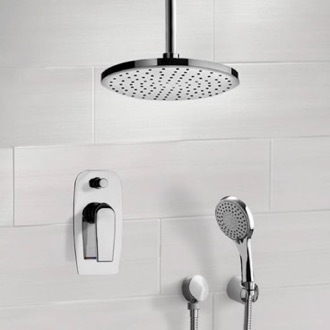 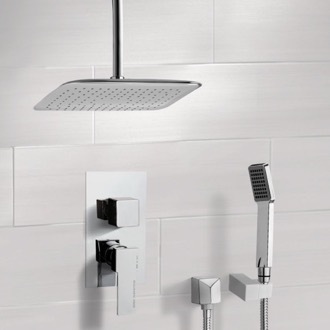 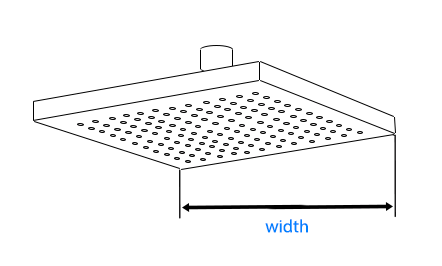 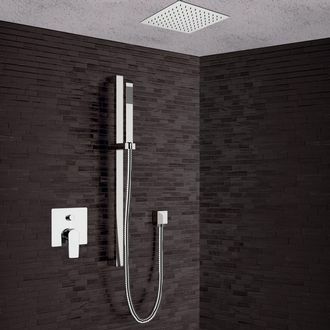 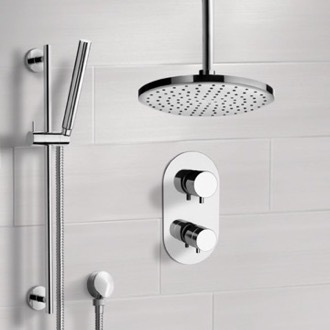 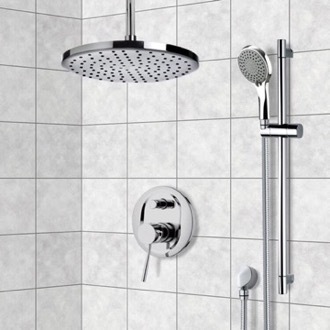 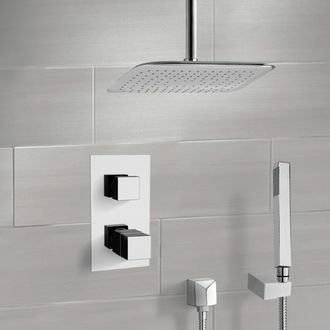 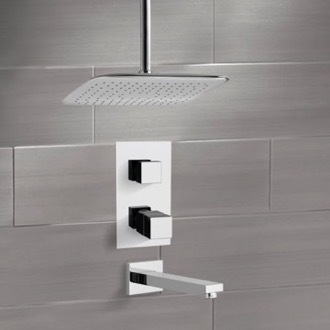 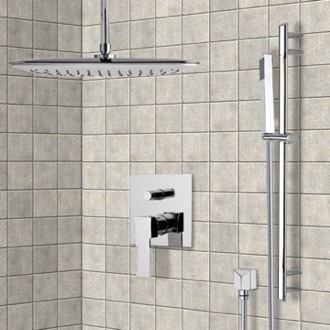 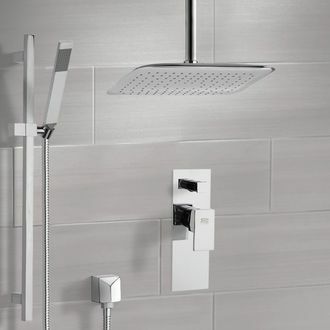 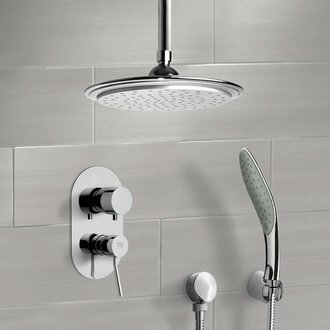 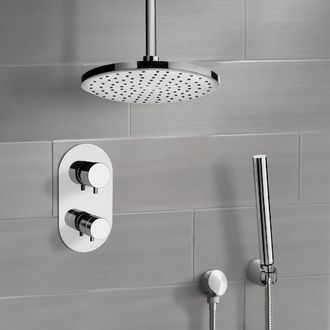 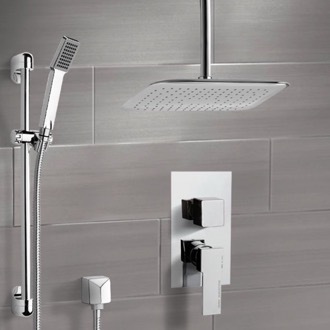 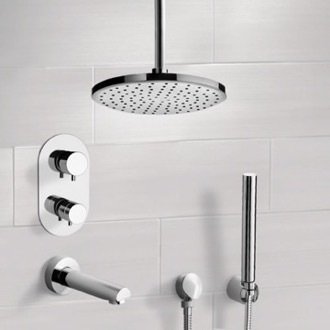 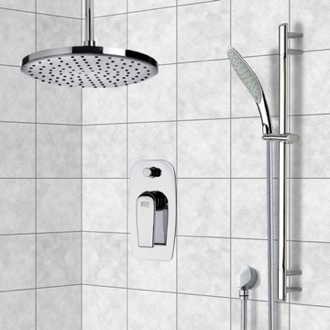 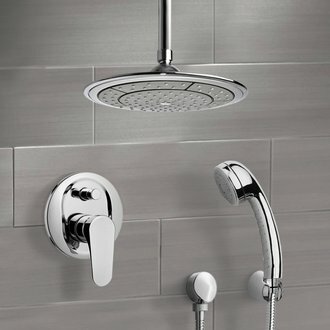 Most ceiling mounted shower valves are rain shower heads, offering a gentle and relaxing shower experience. 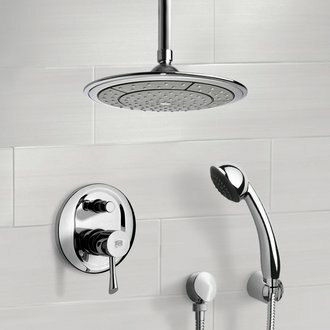 Choose from a flush-mounted ceiling shower faucet, or one with an arm. 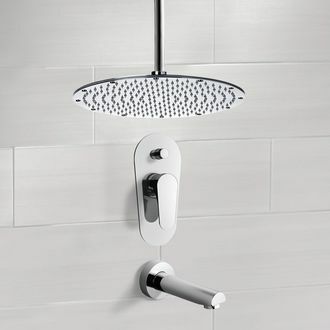 To have more control over your water flow, look for a ceiling mounted shower faucet that comes with a handshower unit - it can double as a shower jet! 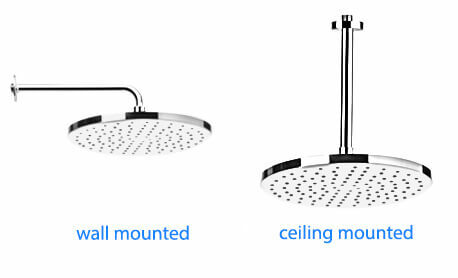 More shopping tips Ceiling mount shower faucets are a great way for you to get a relaxing shower experience in your home. 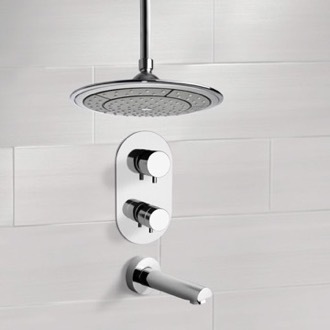 Since most ceiling shower systems come with a rain shower head, the feeling of water falling above and around you will make a world of difference. 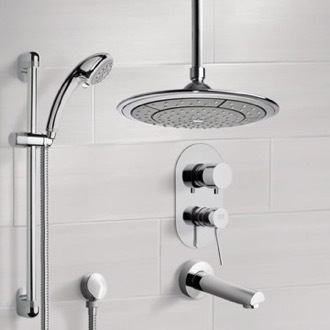 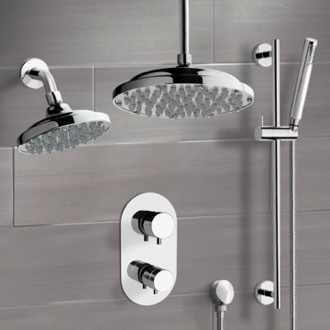 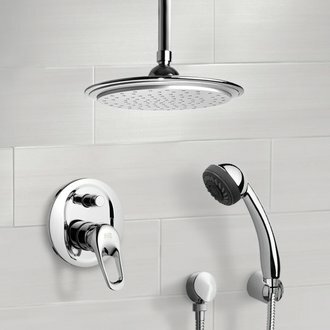 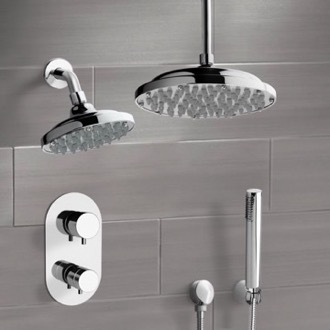 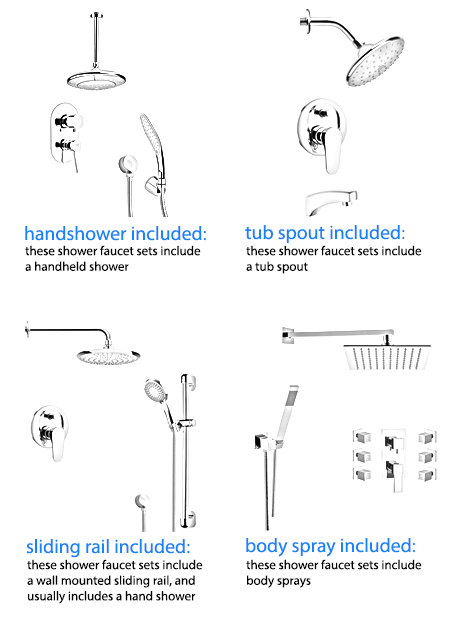 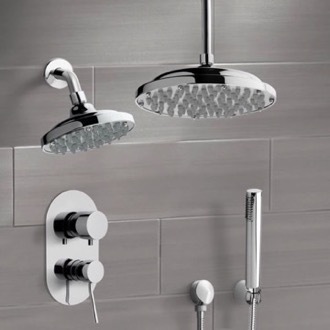 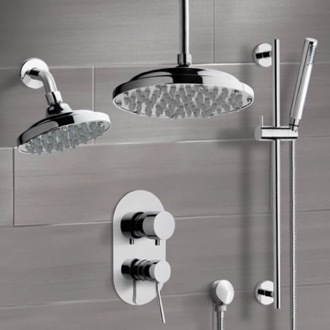 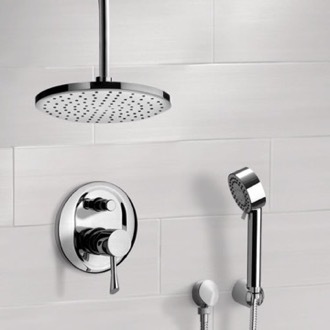 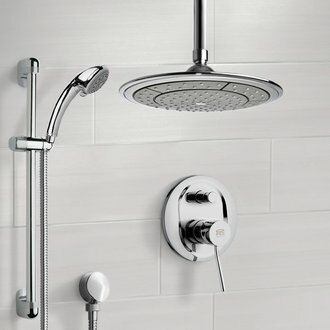 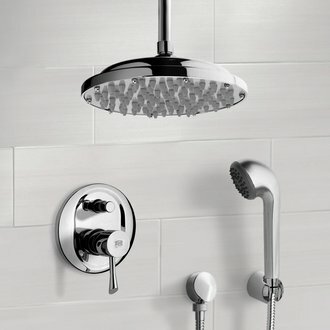 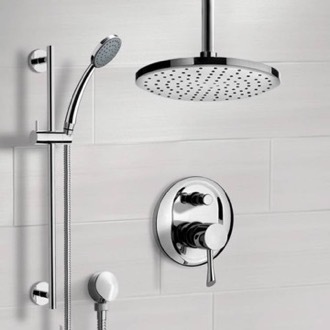 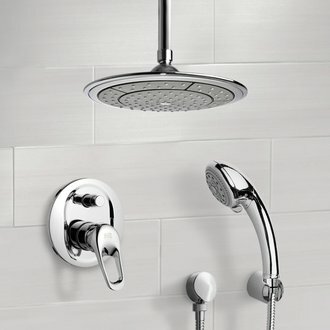 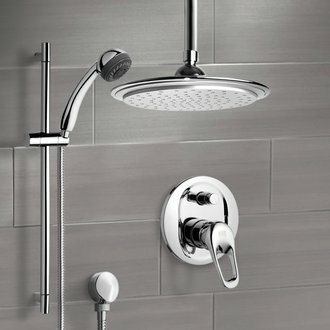 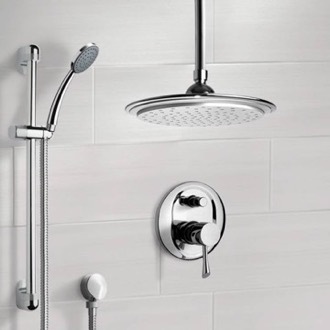 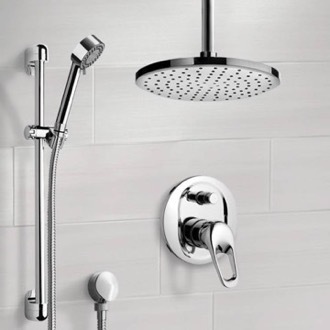 All you really need is the ceiling shower head and diverter/valve, but if you want an extra water outlet you can also purchase a hand shower to complete the ceiling shower set. 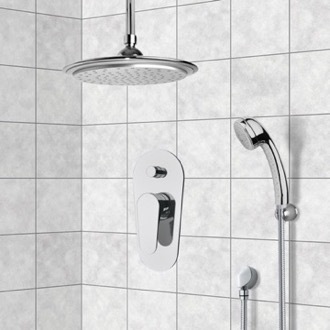 This will enable your shower system to have 2 water outlets for the best shower experience for your body and head. 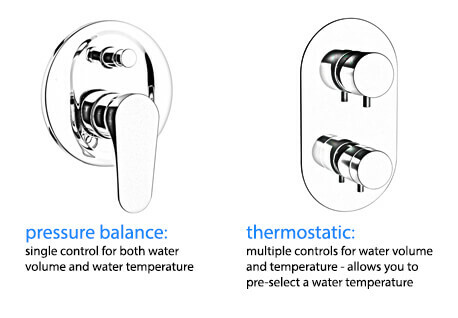 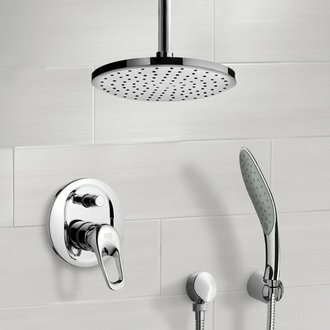 Finally, you can also choose a flush mount shower head, which will be fixed to the wall without an arm -- that will truly create the luxury waterfall shower you are looking for.